After the truck drivers nationwide strike against diesel oil prices that affected the country for several days, and the oil workers' one day strike, Petrobras, the Brazilian state-run oil giant, received this Friday (1) a letter of resignation from CEO Pedro Parente who, since October, 2016, was at the helm of the company. It was the second blackout caused by his policies - in the 2000’s energy blackouts and crisis happened while Parente was minister of Mining and Energy, in Fernando Henrique Cardoso’s government. The resignation was celebrated by the Unified Oil Workers Federation (FUP). “We see that as a great victory for the people who went on strike and organized. Now, we hope that we won’t have another one who will do the same thing. We want someone who sees Petrobras as a patrimony of the people”, said Cibele Vieira, director of the FUP. In a statement to the press released this Friday (1), the company confirmed the resignation. “The company informs that Mr. Pedro Parente has resigned from the position of CEO this morning. Our council will examine the nomination of a interim CEO today. The rest of the board members won’t suffer any alteration. Any new information will be promptly communicated to the market”. Cibele Vieira also added that the stoppage is against the destruction of Petrobras. “If they cancel the selling of refineries, for example, or change the pricing policies, we can think about going back to normalcy. We don’t do strikes because we like it. We do it for a reason. And if need be, we will strike indefinitely”. The workers are demanding the reduction of the price of diesel oil, of gasoline and of LP gas, that have been rising steadily since Pedro Parente was named president of the state-owned company Petrobras, in October, 2016. 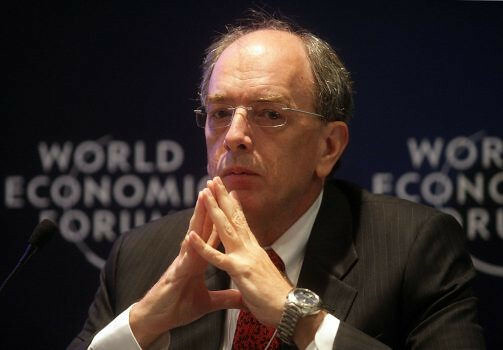 One of the main reason for the increases on the prices of the oil byproducts came along with the decision to attach the domestic pricing to the international, which made Petrobras less competitive - since it has the capacity to refine oil for a cheaper value than what foreign companies do. This policy causes Petrobras to export raw oil and import its byproducts with added value. “We have all the oil we need. We want to upend the process of privatization of the company. If it moves forward, the Brazilian people will pay even more for the products”, said José Maria Rangel, coordinator of the Unified Federation of Oil Workers . Petrobras has already announced its intention of selling four refineries, and since 2016, the company is working below its optimal capacity. “Almost 30% of our need for oil byproducts is being supplied by international companies. At the same time, they have diminished the production load on the refineries”, said Alexandre Castilho, of the Oil Worker’s Union of São Paulo.